An excellent tour for nature lovers and outdoor enthusiasts, this outing gets you out and about in the thick of everyday village life. 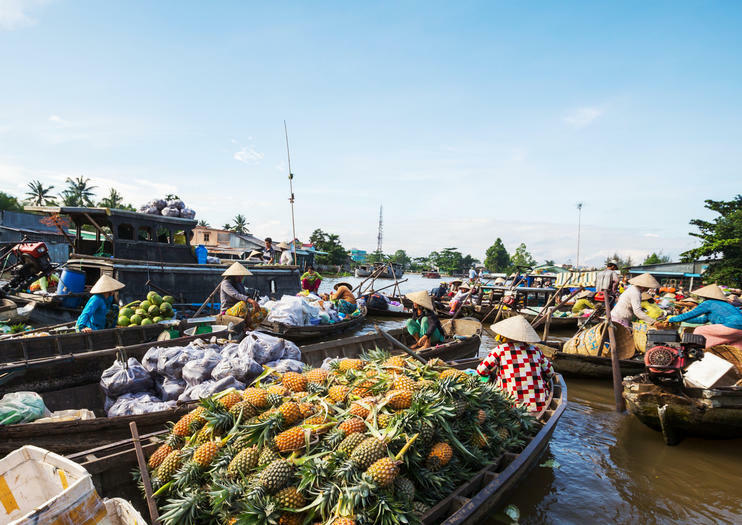 Visit the floating market, a brick kiln, a coconut candy factory, and more. Cycle through fruit orchards and local farms, stopping for samples along the way. This is an excellent choice for those who prefer a slow travel experience.